Capacity is a necessary component of making Wills, but is not easily defined. Testamentary Capacity is the capacity of a person to understand and create a valid will to dispose of property upon death. A determination of capacity is required prior to entering into a will. Is the person able to understand the nature of the act of signing and preparing a will? Is the person able to call to mind the property that he/she owns? Is the person able to call to mind the persons who may have a moral claim upon him/her? Is the person able to weigh the relative claims of those persons? Is the person’s mind affected by a delusion that could cause them to gift their property in a manner that, but for that delusion, he/she would not have otherwise done? It is important to understand that capacity has been found to exist even in cases where the person making the will (the testator) was suffering from dementia, severe depression or delusions. While suffering from these mental states, a testator can have intervals of delirium and intervals of lucidity. 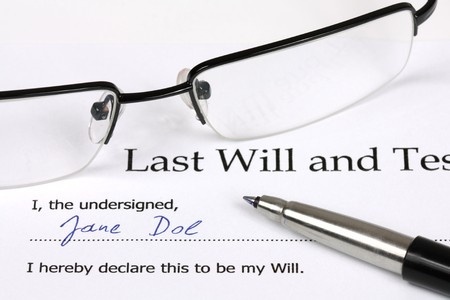 During the times when the testator is lucid, they can possess the requisite testamentary capacity to create and sign a will. Sometimes hospitalisation, or medical treatment, creates temporary delirium which subsides after the hospitalisation or medical treatment has concluded. In challenging the capacity of the testator to make a will, the onus is on the person alleging a lack of capacity by the testator to prove it. This onus can be a challenging burden for the person contesting a will on these grounds. Often in these situations, expert witness evidence is required. Geriatricians are used to interpret historical medical records and lay-witness accounts of the deceased in and around the time that the will was signed. From this information the experts will render a report which offers an opinion as to the capacity of the testator at the time he/she entered into their will. Because of the nature of testamentary capacity and the high burden of proof required, challenges to wills based on a lack of capacity are difficult to win, and should be carefully considered. For more information on Wills, capacity and will contests, contact the Estate Litigation Team at Watkins Tapsell.